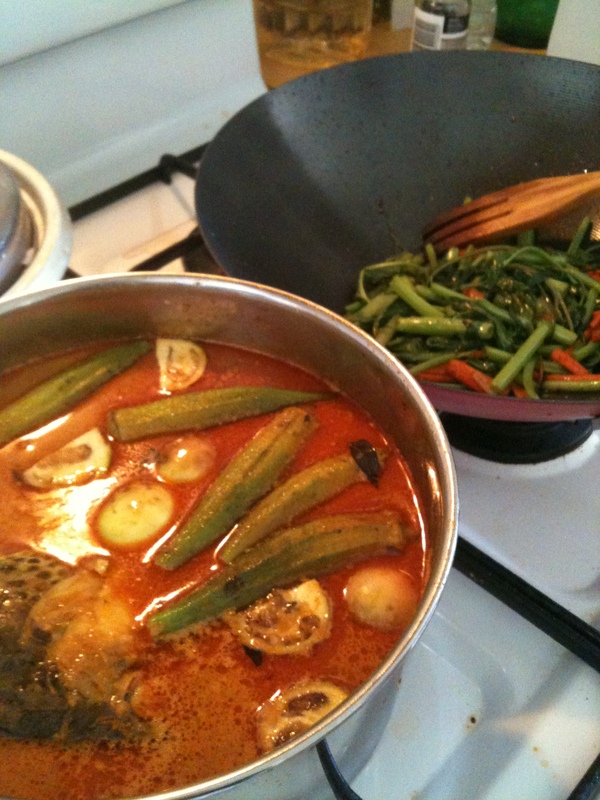 Today is a public holiday so I’m cooking salmon curry, fried chicken Medan-style (according to DH), and stir-fried kangkung with garlic. First time doing the salmon curry after watching MIL doing it a couple of times and absolutely loved it. Waiting for hubby to return from going to the shops, and then we’ll eat. Here’s a picture!